There is a lot of discussion going on what this huge line could be. The mysterious line seems to be a form of energy or a frequency that the Earth was detected from something big. Despite some people suggest that it is a processing glitch it clearly has a physical construction. While the online community still discusses about the strange phenomenon, a video has surfaced of a gigantic bizarre straight line soaring through the sky over the Netherlands. 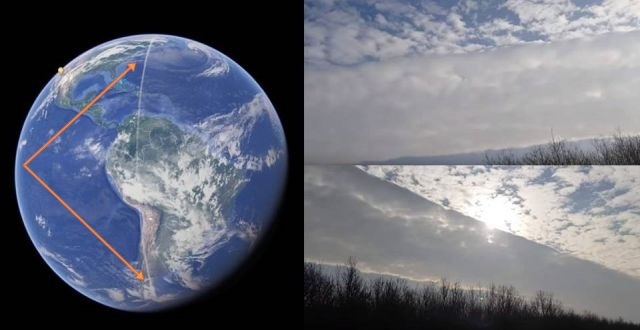 It looks like the ‘giant line’ on Google earth WAS real after all, the question is; what is the origin of this phenomenon, where does this come from, taking into account the observation of the giant line over the Netherlands that the cloud material seems to be artificially created.